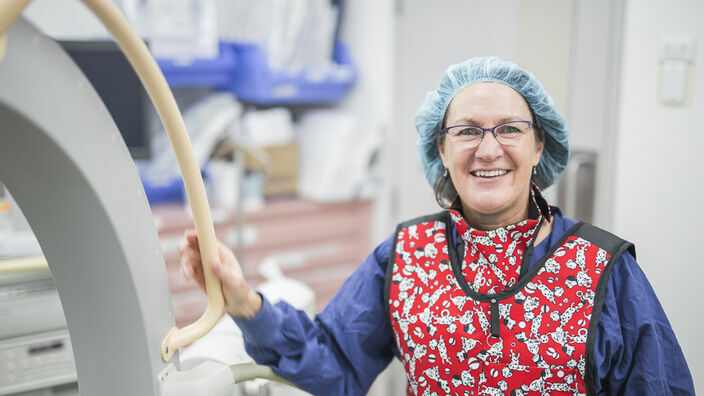 The Central Coast’s premier private health facility with more than 35 years’ experience providing high quality surgical and medical services. 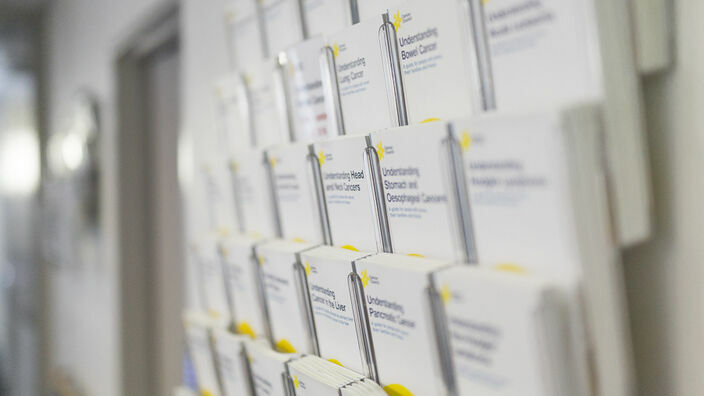 We are proud to be the Central Coast's centre of excellence, offering a team of experienced Specialists and a comprehensive range of services right here on the Coast. 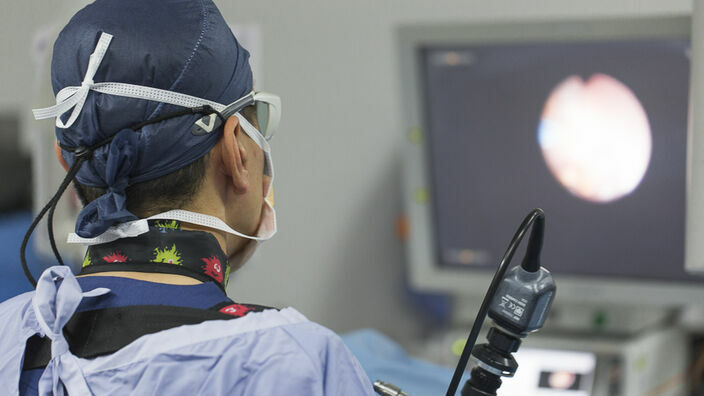 Leading surgeons, state-of-the-art facilities and quality care with a personal touch. 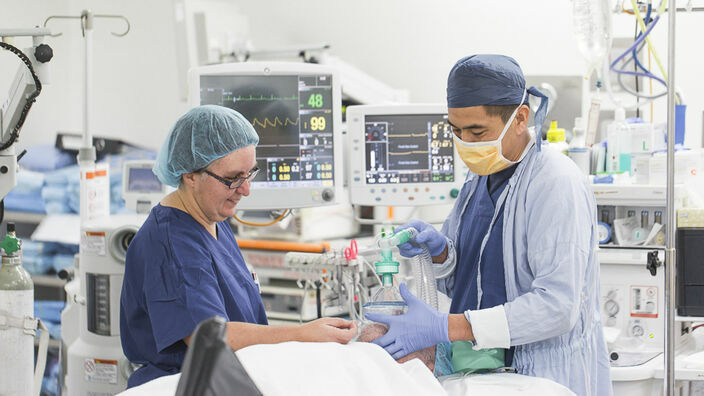 Gosford Private is the Central Coast’s premier private health facility with more than 37 years’ experience providing high quality surgical and medical services. 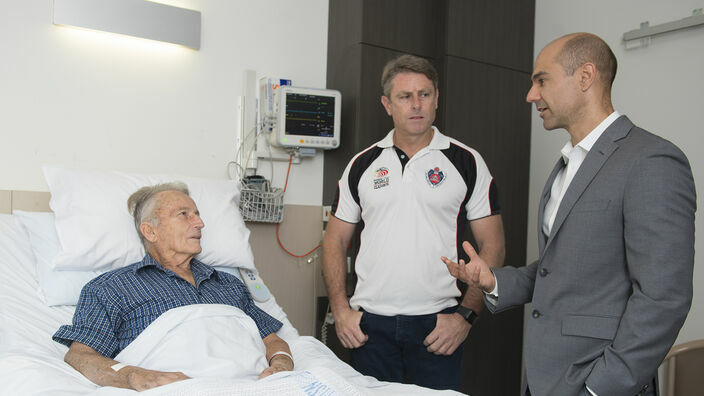 At Gosford Private Hospital, we are committed to making your experience the best experience. We value who you are and how you are, because it's personal. 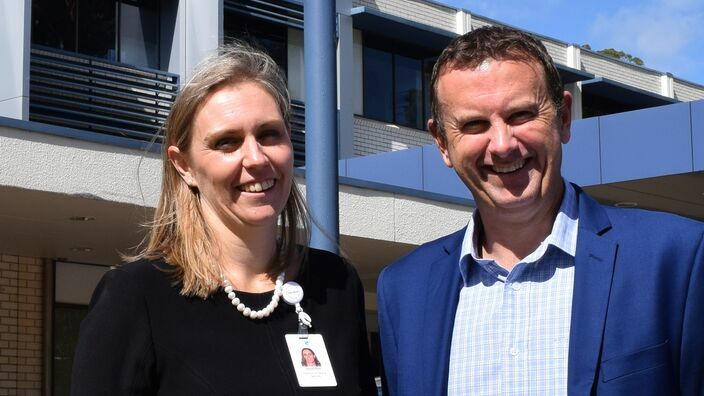 Gosford Private Hospital Executives, Matt Kelly and Jennifer McNamara, have been chosen to present at the prestigious Cleveland Clinic – Patient Experience: Empathy & Innovation Summit in the United States in May. 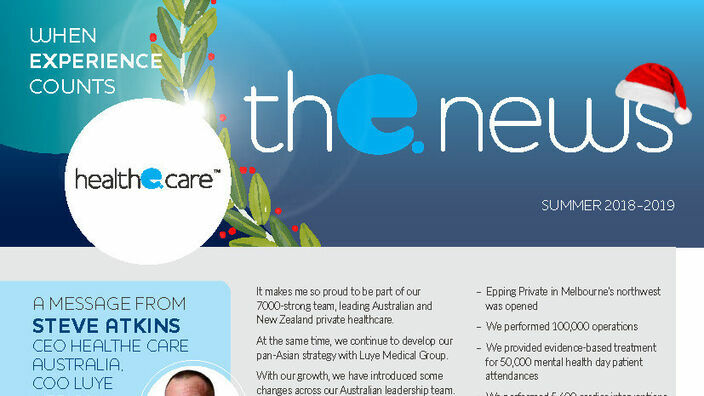 The December 2018 edition of The News is now available. 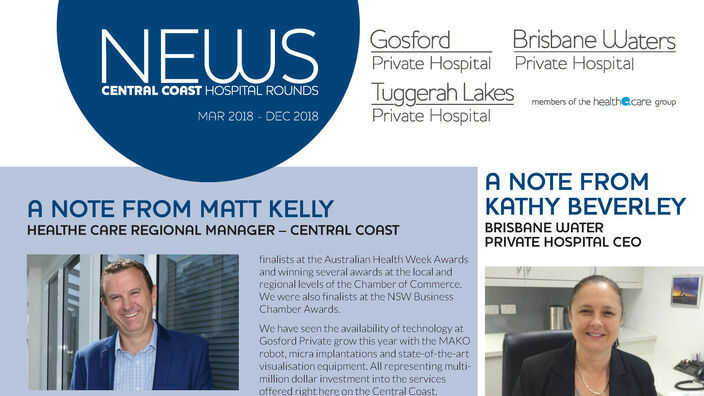 Read all of the latest news and updates from Gosford Private, Brisbane Waters Private and Tuggerah Lakes Private Hospitals. 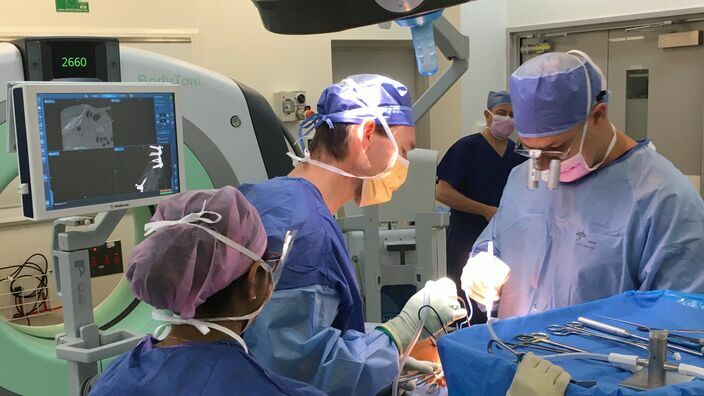 Dr Marc Coughlan has introduced a new technique called ‘lateral access surgery’, which involves going through a keyhole in the side of the body and placing an artificial 3D printed spacer in the space between the vertebrae of the spine. Learn more.